So this week I’m doing favourite book covers. Five in total; three I’ve read and two I haven’t. I don’t know about you, but I’m a real sucker for a pretty book cover. It will make me pick up a book that I may not have considered, having just read the blurb or some information about it online. I’m like a book cover magpie. At the same time, I’m not put off by covers, and will still read a book even if I don’t like the cover. 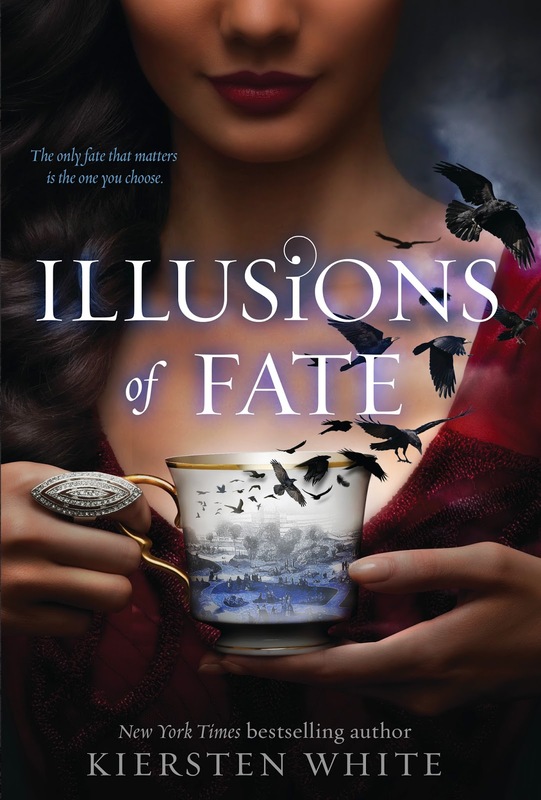 I’ve only read the first book in this series so far, but I really enjoyed it and intend to read the rest! Lady of Devices is a Steampunk novel following the story of Claire Trevelyan. As a young lady in Victorian London Claire is expected to meet a certain set of standards which, quite frankly, aren’t the standards she wants to live her life by. This was a fun and quirky read, and a great introduction into Steampunk if you’re looking for one. There is just something about these covers. They are even more beautiful in person and the colours are gorgeous. The first book in this series was one of Yasmin’s picks for book club. I enjoyed it so much I have carried on reading them! 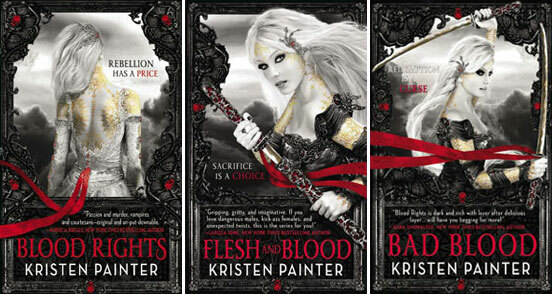 Blood Rights is a very different take on Vampires, Shape Shifters, Ghosts and Magic. We follow the main character Chrysabelle, who was born a Comarré, a breed of human born to serve the noble vampires with their rich and powerful blood. With golden symbols across her body that identify her as Comarré, Chrysabelle is now on the run, wanted for murder of her patron. She finds herself in the mortal world, where she meets Malkolm, an outcast vampire cursed to kill every being from whom he drinks. Far from ideal, but he’s probably the only vampire who would be willing to help. Everything is not as it appears though when those who are after Chrysabelle are seeking more then her death. So the pair have to work together, and if they fail, a chaos unlike anything anyone has ever seen will threaten to reign. Look at those covers! Stunning. Every time I look at them I see a new intricate detail I hadn’t noticed before. This book is about the history of the Roux family. As families go they are particularly unlucky, and that luck doesn’t seem to have changed with the birth of Ava and her twin brother, as Ava is born with wings. 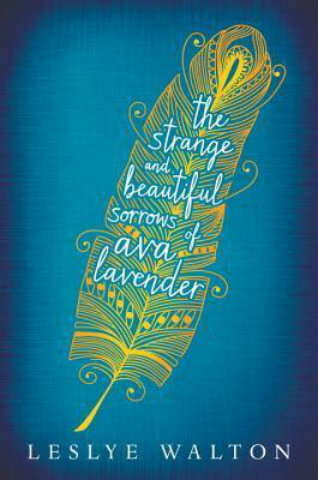 ‘In a quest to understand her peculiar disposition and a growing desire to fit in with her peers, sixteen-year old Ava ventures into the wider world, ill-prepared for what she might discover and naïve to the twisted motives of others. Others like the pious Nathaniel Sorrows, who mistakes Ava for an angel and whose obsession with her grows until the night of the Summer Solstice celebration. I’ve used a part of the blurb here because I don’t think I could explain it better. Leslye Walton’s writing is the lyrical prose it promises to be giving us an original story and some very memorable characters. I love the simplicity of this cover, and how effective it is. Even more so when you have read it. 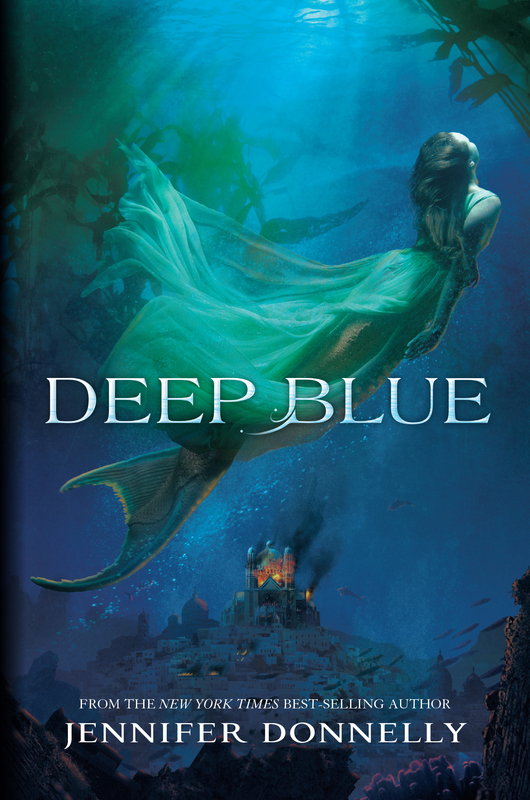 ‘The first in a series of four epic tales set in the depths of the ocean, where six mermaids seek to protect and save their hidden world. So this is one that I haven’t read yet. I’m patiently waiting (not really very patiently…) to read it because it is the start of a four part series, and I know once I read it I will want to read the next one, RIGHT NOW. There is something about the cover that draws me in! The alluring mermaid at the front and the city in flames in the background is such a contrast. Looking forward to diving (oh the puns!) head first into this book! Another book I am so looking forward to reading! I think we all need to take a minute and just look at this cover….. I love it, and not just because it has a tea cup on the front! It is striking, the colours are lovely and I really want the ring she is wearing. So, what book covers are your favourites? Have you ever read a book purely because you were attracted to it by the cover, and if so which ones?